For the first time in thirty years, the Northeastern Huskies enter the Beanpot Tournament as the defending champions. Led by Cayden Primeau in net, the Huskies will look to repeat as champions for the first time since 1984-1985. This preview will look at all four teams in the tournament, how they have been playing recently, and key in on players to watch for the tournament. Our @BeanpotHockey Hype Video is Here. As the ladies prepare for dominance, the gentleman aim to become back to back champs, and we get ready to once again take over TD Garden…we have just one question. 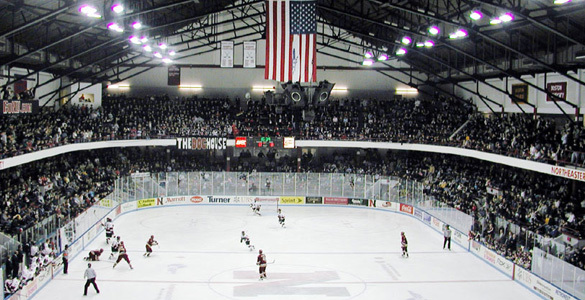 Harvard Crimson– Harvard enters the tournament as the favorite by multiple standings, including their recent hot streak and the Pairwise ranking. Harvard is 6-2-1 in their last 9 games, including their last three games being conference victories. Their streak includes victories over Quinnipiac and Clarkson, as well as a tie against Boston University. They sit 12th in the Pairwise going into the games, one ahead of Northeastern at 13. Harvard, the lone member of the ECAC in this tournament, is sitting in a tie for fourth in the conference entering play. Their overall Corsi is 18th best in the country at 52%, and is also the tops in the tournament, slightly edging out Boston College (51.5%) and Northeastern (51.3%). Their powerplay is the top unit in the nation, percentage-wise, clicking at over 34% success rate. Their penalty kill is an Achilles heel, however, only working 75% of the time, sixth-worst in the country. Statistically they are led by junior defenseman Adam Fox, who is one of the most dynamic defensemen in the country. While Cale Makar of UMass gets the most love and publicity out of all the nation’s top blue liners, Fox has every right to be in that conversation. Similar to Northeastern’s Jeremy Davies, he is a smaller offensive defenseman who can carry the puck coast to coast and both set up his teammates while also finishing his own shots. His 27 points in 20 games (7 goals) leads Harvard in scoring. Freshman Casey Dornbach leads all forwards in scoring with 22 points (4 goals), while the next highest scorers are defenseman Reilly Walsh (7-11-18), freshman forward Jack Drury (6-11-17), and senior captain Lewis Zerter-Gossage (12-4-16). While Zerter-Gossage is the only player with double-digit goals, Harvard has nine players with 4 goals or more. Harvard goaltending is manned by senior Michael Lackey, who has had his best season ever since taking over the net from the graduated Merrick Madsen. Lackey has a .927 save percentage this season to couple with a 2.13 goals-against-average and his eleven wins. I watched the Harvard/BU tie from earlier this season, and came away impressed with Harvard’s speed, particularly from their defensemen. Their top four would give UMass a run for their money in terms of skill, especially the top contributors in Fox and Walsh. I felt Lackey did not have the best rebound control, so that could be an area of opportunity for teams. Harvard has every reason to be confident going into the tournament. Boston College– Everybody’s favorite pirate leads his Eagles to yet another Beanpot game, in search of their first out-of-conference win since the Obama administration (November 16th, 2016 to be exact). Boston College has once again plunged their season into being entirely reliant on them winning the Hockey East Tournament to make the NCAA Tournament, but they stand just two games away from winning their first notable trophy since they won the 2016 Beanpot. Boston College enters the tournament highest in the Hockey East standings, second place behind UMass by three points. They are two points up on Northeastern (fourth place) and three up on BU (fifth place). In their most recent games, they defeated a bad UConn team, tied and lost to a good UMass-Lowell team, and beat Providence. Their possession stats are similar to Harvard as noted above, while BC’s powerplay is not nearly as elite as the Crimson’s. Boston College’s powerplay clicks at 18.5%, 25th-best in the nation, and their penalty kill is similarly above-average at 82.8% (23rd in the nation). David Cotton leads the Eagles in goals and points (15-9-24), more than doubling the player with the second-most goals scored (Julius Mattila, 7). Mattia’s 16 points equals Logan Hutsko’s for second-best this year for the Eagles, while freshman sensation Oliver Wahlstrom has 12 points (7 goals). Michael Kim (1-9-10) and Casey Fitzgerald (0-9-9) lead the defensemen in scoring. Their goaltending is led by Joe Woll for the third year in a row. Woll has won 8 games this year, and has earned a .921 save percentage and 2.32 goals-against-average. A month or so ago, this game was being written off as the snoozer of the two first round games, but recent results may have turned that opinion. Harvard and Boston College are the two hotter teams in the tournament, and it should be a fast-paced game. The X factors will be how well Harvard’s forwards can get sustained offensive pressure against an experienced BC team, and how well BC’s special teams can take advantage of opportunities against an awful Harvard penalty kill. BU comes into the tournament ranked 23rd in the PairWise, and barring a 2016 Northeastern-esque run, will need to win the Hockey East tournament to make the NCAA Tournament. Overall they are 10-11-3, but have a victory and tie over Northeastern, a victory over Providence, and a victory over Lowell to show they are just as dangerous as ever. Somehow, BU is one of the worst possession teams in the nation by Corsi, entering with a terrible 46.7% Corsi For%, 11th-worst in the nation. In fact, their Corsi at even strength, on the powerplay, and in close situations is all under 50%. 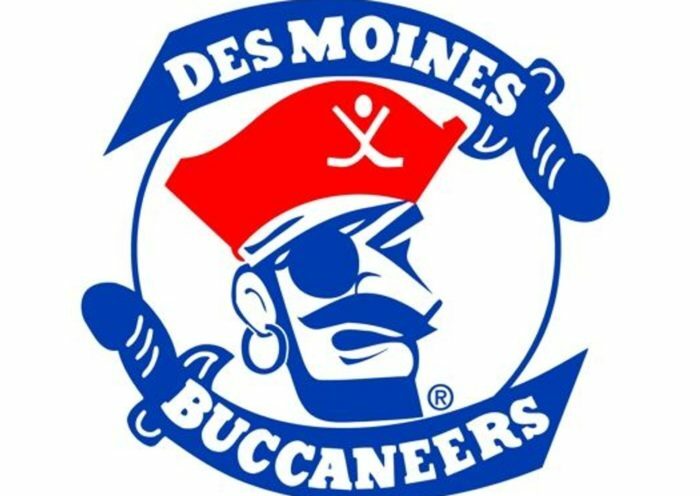 Their powerplay is above average (18.4%) and their penalty kill is solid (83.7%). Their leading scorer is Flyers first round pick Joel Farabee, with 23 points (9 goals) in 24 games, including 12 points since the calendar turned to 2019. Farabee has scored goals in five of his last 9 games, and has registered points in nine of his last thirteen. Dante Fabbro, another top defenseman in the nation, is second on their team in scoring with 22 points from the blue line (17 assists). Bobo Carpenter (18 points) and Shane Bowers (16 points) round out the scoring threats from their top lines, but the breakout of junior Patrick Curry (17 points, 9 goals), and rebirth of Patrick Harper (14 points, 12 assists) on the BU third line has given them some newfound scoring depth in the last month or so, making them even more dangerous than we initially thought. David Farrance (14 points, 4 goals), and Chad Krys (10 points in 16 games) also contribute from the blue line. Jake Oettinger maintains a stranglehold on the BU net, though this year has shown similar chinks in his armor that were forged last season. He has had a handful of clunkers this year and has let in some soft goals that have left Terriers fans bewildered. Still, Oettinger has been the winning goaltender for all ten BU wins this season, and has played himself to a .920 save percentage and 2.72 goals-against-average. Boston University is always a dangerous team to play against strictly based on their raw talent, and any game could be the one where the talent and the performance come together. Previous games this year against BU show that Northeastern has struggled, but three months have passed since then, and both teams have grown. There is a slight chance the team will be without senior captain Bobo Carpenter, as he missed Friday’s tilt against UMass, but I would bet that the Massachusetts native will do everything he can to suit up for his final Beanpot. Northeastern University– And so we end our preview with our beloved Huskies, the defending Beanpot champions. A season that started out with unbridled optimism has had some cold water thrown on it in the last three weeks, as the Huskies have won only one of their previous five games, an overtime thriller against UMass. 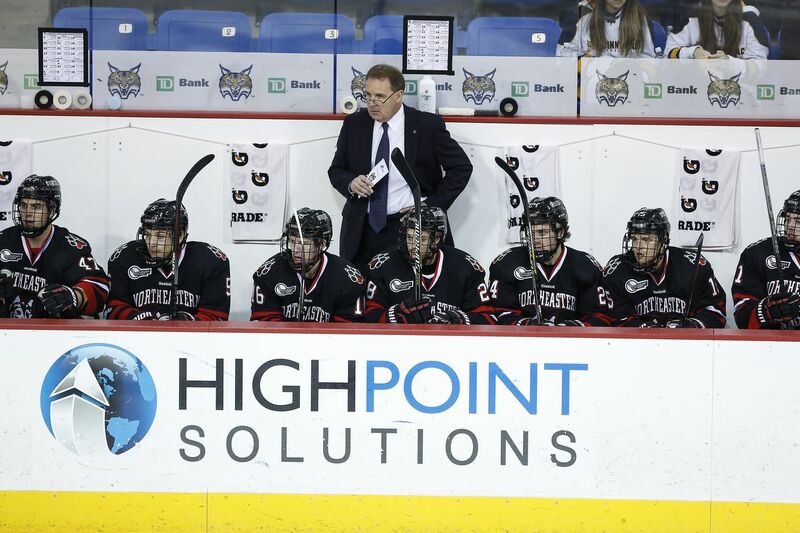 In three of those five games, the Huskies were badly outshot and out-possessed against UMass and Providence, while two other games saw them get shut out by the Friars and defeated late in regulation by Lowell. A scoring drought has fallen on Huntington Avenue, and the Huskies are hoping the magic of TD Garden will serve them well as they look to solve Jake Oettinger on Monday Night. From a team-statistics standpoint, Northeastern’s Corsi is right in line with BC and Harvard, right at 51.3% and that has come down in the last month. It is boosted heavily by the powerplay performance, as both the Corsi Close and even strength are both a tick below 50%. The powerplay, which finally got on the board last game against Lowell after a multi-week drought, is down to 17% successful, in the bottom half of the nation in success rates, while the penalty kill is above average at 82.7%. The Huskies are led in scoring now by senior Brandon Hawkins, who has come on strong in recent games. Hawkins (22 points, 8 goals), has scored in six of his last seven games, including four goals in that span. Freshman sensation Tyler Madden sits second on the team in scoring with 20 points (8 goals), thought he has been held scoreless in his last three games. Defenseman Jeremy Davies, who has been subject to a lot of criticism during this losing streak, sits third on the team in scoring with 20 points as well (15 assists). The Huskies really need Grant Jozefek (19 points, scoreless in eight of his last nine), Liam Pecararo, and Zach Solow (scoreless in seven of last nine) to start scoring and take pressure off of their other top scorers. Cayden Primeau has been his typical solid self, playing not quite to the level he showed as a freshman, but still producing a very solid .921 save percentage and 2.42 goals-against-average. 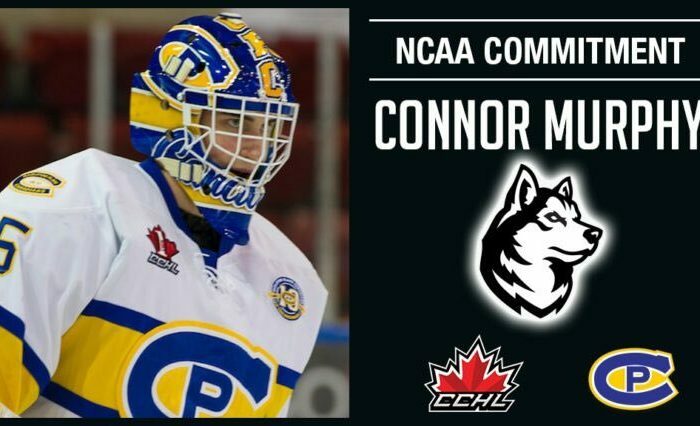 He has been in net for thirteen of the Huskies’ fifteen wins. He has had some not-so-great showings since shutting out Maine on the road, including allowing five goals to UMass and a couple soft ones against Providence. Contrary to the 5:00 game, this game features two teams that are entering the game in a little bit of a slump. Northeastern is certainly the coldest of the four teams, but they have shown the capability to compete with and beat some of the best teams in the country. If the Northeastern team that showed up against St. Cloud State, or UMass-Lowell, or even the home UMass game shows up, there is an excellent chance that the Huskies will be playing for the repeat next week. We hope the team is well rested, particularly John Picking, who missed the Friday game against Lowell, and Zach Solow, who took a slap shot off his shin and went down in pain before returning to the game. This is a game the Huskies can absolutely win on Monday. With the backing of multiple sections of students and supporters, they will certainly have the best and loudest crowd at the TD Garden. #BEANPOTHYPEWEEK is finally coming to a head. Let’s go baby. Let’s go Huskies.